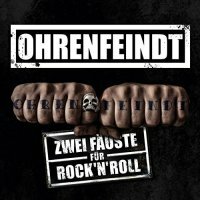 Ohrenfeindt is carrying the Hard Rocking Blues banner to wonderful heights. From the opening power chords, you know you will be Rocked by this one! The seventh studio album from this German power trio leaves no "Rock" unturned! The group's last effort, 'Motor On', was a straight up Rock record, but now these three have taken their talents to the farthest reaches of high-powered Rock. Chunky bass lines merge in to rich power chords, it's all hard hitting, simple and pushed to the limit. There's also power chords that mesh into slide guitar, all supported by a back beat that just keeps pounding, song after song. This power-trio from Hamburg consists of Pierre "Keule" Blesse, Andi Rohde, and Chris Laut, and the what they produce together sounds like a six-piece turbocharged! Laut not only lays down the meat with his bass, but smothers everything with his weighty vocal style. Rohde is strong and steady, ever on hand to create drum patterns that just drip rhythm. Lastly, Blesse can always be counted on to provide those molten power chords without ever leaving his Blues roots! Regarding their collective Blues influences, they enhance their performances with harmonica and lay down some of the most exciting Blues Rock this side of the American Rust-Belt! 'Zu Früh' ('Too Early') is a genuine Blues run which is hardened with molten Rock signatures that just keep your hips a churning. Ohrenfeindt show their Power Rock sensibilities in such songs as 'Irgendwann' ('Sometime'); the chorus is spot on and the steady rhythm makes way for a tasteful lead break that is both powerful and emotive. On this, the group's seventh album, we have twelve highly energised and heavily-laden Rock anthems that feature thunderous rhythms, cutting edge leads supporting a vocalist that just doesn't quit. 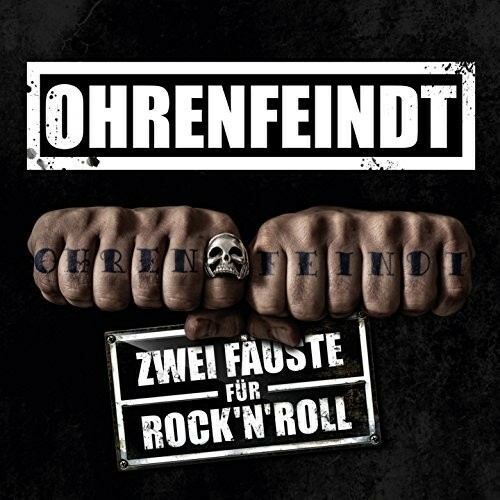 Ohrenfeindt is carrying the Hard Rocking Blues banner to wonderful heights... get this record and fly high with this trio!